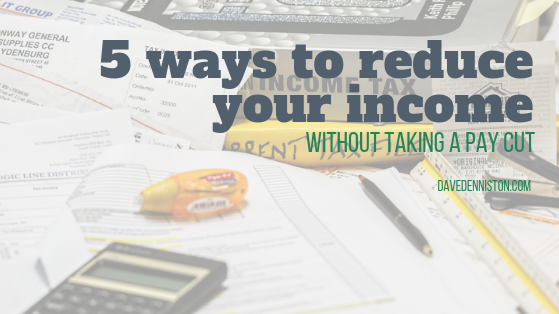 Let’s explore several easy ways to reduce income taxes. I have one basic rule, a mere three words, that I have spoken about in seminars at the Mayo Clinic and with the Minnesota Medical Association time and time again. This mantra is simple. Yet for many of us, it can be very hard to apply. First, just simply- get started! Contribute to your 401k (or 403b for non-profits or hospitals). It not only counts toward retirement, but it lowers your income taxes. This money comes right out of your paycheck, withheld by your employer- it never even sees your tax return! This is because the income reported on your tax return is ADJUSTED by these kinds of tax deductions. Think about this for a second. By contributing to your 401k, every dollar you put in gives you a discount on your federal income taxes (but not FICA taxes). For example, if you are in the 25% bracket, and you contribute $10,000- you have just lowered your taxes by $2,500! That’s like a 25% rate of return on your money TODAY that can grow tax-free until you take it out someday when it will be taxed likely at a lower bracket. Of course, many of us are actually paying WAY more than 25%- including state income taxes- often 40% to 50%! That’s an even higher discount on your money. Secondly, at a minimum, make sure to contribute at least up to the maximum match that your employer provides. If your employer matches dollar for dollar, this is like an automatic 100% return. Even if your employer matches 50 cents or 25 cents on the dollar, that is still like a 50% or 25% return just for contributing. Altogether, with a match, you may have just doubled your money by being tax efficient! Lastly, get close to maxing out your maximum contribution in order to lower both your federal and state income taxes. If you are under 50 years old, the maximum you can put in the 401k is $18,500 in 2018. If you are over 50 years, you can do an additional catch-up contribution of $6,000 for a total of $24,500! Here’s a HUGE point that many doctors miss out on. Especially if you work for a hospital- you are likely to have MORE than one retirement plan. You are very likely to have TWO (or more) retirement plans. See the IRS has a few weird quirks in the tax system. You can check out more information here. Essentially, it boils down to this- you CANNOT contribute the max to both a 401k AND a 403b (or SIMPLE IRA, SEP IRA, etc). The most you can put between the two plans is the usual $18,500 plus catch-up provisions. However, you CAN contribute $18,500 plus ANOTHER $18,500 to a 401k (or 403b) AND a 457(b). This is because 457(b) are subject to completely different provisions under a separate part of the IRS code. Note that most employers DO NOT match in the 457(b). So, you are better off taking advantage of the 401k or 403b first. However, as you have your debts paid off and your discretionary income skyrockets, take advantage of this provision! If you are paying 50% between federal and state income taxes- this means you could easily be saving $18,500 in taxes by maxing out both plans!!! Every year!! Yet another awesome way to take advantage of the paycheck, pre-tax return deductions is to also fund money into an HSA (health savings account). Contribution limits are significantly less than 401k/403b/457(b) limits- $3,450 for individuals or $6,900 for families plus a $1,000 catch-up limit. However, this converts an expense using money that has already been taxed to instead be an expense using pre-tax dollars. Additionally, when you take the money out for health specific reasons and expenses- it comes out TAX-FREE. This means that you could save and save (if you aren’t currently having any health issues) and have money stocked for medical expenses that will come OUT TAX-FREE as well as having been tax-deduction when you put in the money. Definitely, max this out! You can see this line on both your paycheck and possibly line 25 of 1040 if you self-funded an HSA. The American tax code is set up to benefit one person- the business owner. If you want to take advantage of the tax system and work its loopholes (legally), check out line 12 of the 1040 and Schedule C. There are many many expenses that business owners can take advantage of. I know that all of us are so busy and you may not have a single extra second to dedicate towards another money-making venture. However, I strongly encourage you to start your own small business. Many people today sell trinkets or hobbies through E-Bay or Amazon.com. One of my friends who worked for a Fortune 500 company as an analyst, yet found the time to “moonlight” to sell mixed martial arts equipment on Amazon.com. He is now making more money from the part-time business than from his full-time job and recently left his full-time job to go after the “part-time” gig. What are your talents? What are your passions? What is something that wouldn’t take a whole lot of time and have a low barrier to starting up? NOTE: The IRS has some very specific guidelines regarding losses in a business- you must have the intent to make a profit. There are many ways that you can show this including having your own website/Facebook page, showing revenue, having a marketing plan & business plan, and much more. Alternatively, check out LocumStory.com or FreelancePhysician.com for moonlighting opportunities for physicians. You can get paid $125/hour or more. One of my physician friends is now making more money from moonlighting than from his full-time job. What opportunities could be available to you? Here are some clients who started a business based on their skills and interests. Sam and Elizabeth recently retired. When they built their dream home, it was with the longstanding plan that Elizabeth would have an art studio in the home. For years, these plans had taken a back seat to Sam’s career while raising the kids. They added a separate studio, office, and classroom. During the week, Elizabeth teaches art, works on commercial graphic design, and creates original paintings to sell at local art fairs. They set up a Limited Liability Corporation for the art business. They were able to write off all costs related to the building and furnishing of the studio and office as well as the prorated share of their home utilities. They used IRS Section 179 of the tax code to expense up to $125,000 of their tangible personal property expenses for computers, etc., each year. They write off all materials and business advertising. They write off part of their automotive expenses. Lastly, they write off any other travel-related expenses in selling the art in fairs and exhibits. The write-off allows them to reduce Sam’s income tax so their Social Security was not taxed. This led to a reduction in their overall tax percentage. The art business is beginning to make money. Elizabeth is happy painting and they are living their dream retirement while saving in income taxes along the way. Because their overall AGI dropped, they were able to write off a greater percentage of their other deductible expenses. The business owner doesn’t necessarily need to be YOU. It could be a spouse INSTEAD. When you take the time to research ways to set money aside you may also find that you will be saving your hard earned money from paying extra taxes. I have outlined a few ways to reduce your income without taking a pay cut in this article, but I have some other ideas. 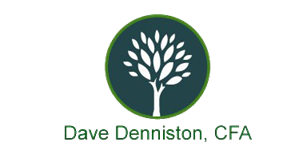 If you would like to sit down with me to learn more I’d love to set up a consultation with you. Please feel free to contact me at [email protected].